Welcome to ‘The No Spark Zone’ Podcast! Thank you for your interest in being a guest on our show. I look forward to sitting down with you and sharing your journey with our audience and friends. This interview will be very casual, like 2 guys sitting in a garage somewhere talking shop and swapping stories of their love of VWs and the things that they have done to turn that love into a lifestyle. Don’t worry about saying everything right the first try or long silent parts. We will edit it and make everything sound good. Just be yourself and have fun. We budget an hour for the interview to give us time to talk and get to know each other, but the actual interview should be about 25 to 30 minutes. To schedule for your podcast interview please click here and choose a time that works best for you. *I will give a brief introduction and bio on you based on information that you have provided me. *Now you will get a chance to talk about how your love for Volkswagens got started. *This time is where you share your life’s story, what motivates you, and how you are helping people. 3. What was it about Volkswagens that made you first fall in love with them? 4. How did you take that passion and turn it into a career? 5. What has been your biggest challenge to date in your business/project and what did you learn that can help others not face that same thing? *Share what you would tell someone just starting out with in their VW career to help them from that pitfall. *LIke the previous question, but this time share a story of your proudest moment with us. 7. What are you working on right now that excites you? *Here is your chance to share with us what you are really doing that gets you revved up. Wither it be a project car, a new business venture or product line. Tell us what fires you up. * Not every interview is the same and neither is every person so we reserve this spot to ask individual questions concerning your business or project or whatever it is that makes you special. We want to give our listeners a chance to learn more about you than what may be covered in the previous questions. 1. What is one really cool project you would like to build in the future? 2. What is your favorite VW ever made? 3. What is one thing you wish VW would have done differently? 4. How many VWs have you owned? 5. What has been your favorite car you have owned? If you could give someone just starting out one piece of advice what would it be? That concludes our Interview process. After the interview we will chat for a few minutes to talk about when the show will go live and important information on how you can share your story with your friends, business associates, and your followers. While we can have our interview over the phone, a Skype connection with a basic headset is what we recommend to get best quality recording. We can help you with this if needed, just ask. Be yourself! Thats what everyone wants to hear. Don’t worry about messing up, that’s what makes life so much fun. Recording: By participating in the No Spark Zone Podcast interview, you agree to allow VWDiesel.net to record, distribute, and disseminate the podcast in any manner. 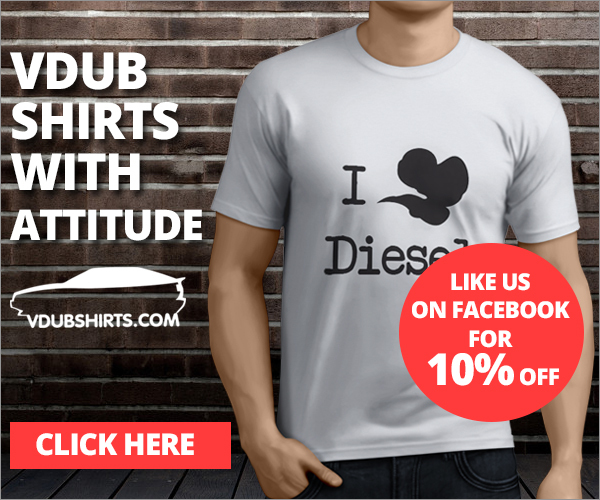 You also agree to allow VWDiesel.net to retain rights to the produced media for potential future use in speeches, books, and in all other public distribution.